There’s more to a prepositional phrase than just the preposition; there’s also the object! 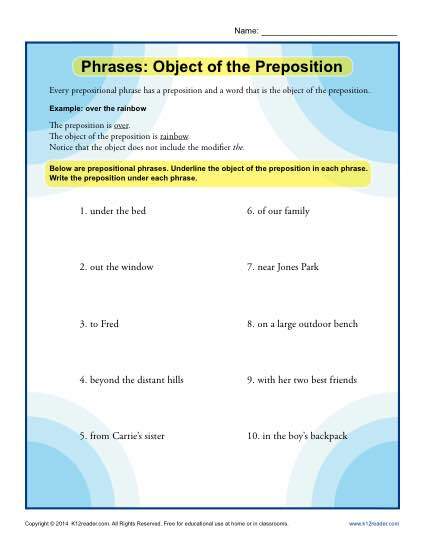 This worksheet features a variety of phrases and asks your student to find both the preposition and its object. It’s a perfect practice for 4th grade Common Core Standards for Language. You may also find it appropriate for other students.